Here is an interesting look at the first 20 medical malpractice lawsuits filed in Maryland in 2016 with a brief summary of plaintiff’s allegations in the case. You can get all malpractice lawsuits filed in Maryland in 2017 up until April on our website. Hall v. Genesis Healthcare, LLC (filed on January 4, 2016): This is a bed sore case in Prince George’s County. Genesis Healthcare fails to take the proper precautions to prevent bed sores from developing on woman’s body. Woman dies, and her two surviving sons bring a wrongful death lawsuit. Stanford v. United States – (January 5, 2016): This is a cancer misdiagnosis lawsuit in U.S. District Court in Baltimore. Biopsy performed with an inadequate specimen. A better specimen would have revealed Stage I cancer that is usually curable by surgery. Stage III cancer discovered three years later. Prognosis is death within five years. I got a page on Thursday night. The caller was a woman alleging medical malpractice. She had surgery and continued to experience problems after the surgery. The doctor continued to treat her for two years for complications, telling her that they were expected risks of the procedure. After a second opinion earlier this year, she came to believe that the complication was not a known risk of the procedure and was the result of medical negligence. 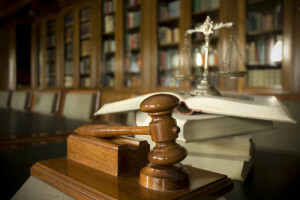 How long do you have to file a medical malpractice injury or wrongful death lawsuit in Maryland? I do not think this potential medical error client has a case on the merits because I believe that the complication is, in fact, a known risk of the procedure that would not be caused by a medical mistake. You can’t sue for bad outcomes just because they are awful and tragic. But her case raises the legal question she could bring a malpractice action in Maryland (or in other states with a similarly worded statute). Under Maryland’s statute of limitations that applies to most tort cases, a lawsuit suit must be filed within three years of the date on which the wrongful act occurs. 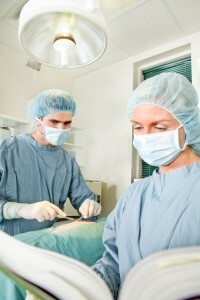 It is a harsh rule that is even harsher in medical malpractice claims. Maryland created two rules to soften that effect. Maryland also has a discovery rule which says that the time to file does not begin to run until the harm is known or should have been known. The purpose of providing three-year limitations is to give people the time to investigate whether they have a claim. But plaintiffs’ counsel often screws up what this really means. Victims are charged under the law with the responsibility to perform a diligent investigation. That investigation is intended to begin when the victim has knowledge of circumstances which ought to put a person of ordinary prudence on notice. So, as a matter of law, the victim has inquiry notice of an injury the moment she possesses the “knowledge of circumstances which ought to have put a person of ordinary prudence on inquiry” to investigate the cause of an injury. Too many lawyers and unrepresented victims take liberties with this rule and assume it is when they knew. It is not. The rule is when they should have started investigating to figure it out. But the law puts a leash on how long these exceptions can be applied in Maryland Courts and Judicial Proceedings § 5-109, the Maryland statute that addresses limitations in medical malpractice cases. The limitations period in health care negligence claims is five years from the time the injury was committed or three years from the date the injury was discovered, whichever is shorter. This law imposes a sort of statute of repose on medical malpractice cases in Maryland. But what sort of claims can be brought that are more than three years old but less than five? Johns Hopkins is quite possibly the greatest hospital in the history of the world. People come from all over the world to get the best medical care that Hopkins can provide. The U.S District Court in Baltimore decided this week a case involving a woman who traveled from Kuwait to get treatment at Hopkins to get cancer treatment only to lose her leg. She believes she lost her leg because the doctors at Hopkins committed malpractice. The question in the case is whether this medical malpractice lawsuit against Johns Hopkins should be heard in federal court on in state court. I don’t know if negligence caused this woman to lose her leg. But I do know that as great of a hospital as Johns Hopkins is, mistakes do happen there that cause people severe injuries and death. Like any hospital, Hopkins has bad doctors and good doctors that sometimes make bad decisions. This case is not about what happened to the patient. Instead, the question is whether this medical malpractice lawsuit against Johns Hopkins will be heard in federal court on in state court. In a blow to the Plaintiff, the court ruled that this case will be heard by a federal judge and jury. 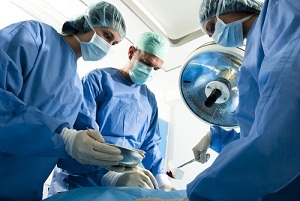 Medical Malpractice or Mere Negligence? Would you rather file a lawsuit against a healthcare provider for negligence in Health Claims as a medical malpractice case or would you rather file a simple negligence case in Circuit Court? If you answer was Health Claims, you need to get your head examined. Filing in Health Claims in Maryland just creates more hoops that you need to jump through. Are they manageable? Absolutely. But when it comes to byzantine rules and conditions precedent, sign me up for the path of least resistance wherever possible. 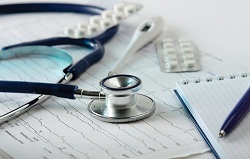 Is it Negligence or Medical Malpractice? The determination of whether a claim against a health care provider belongs in Health Claim is based on whether the claim involves a “medical injury” as defined by MD. CODE ANN., CTS. & Jud. PROC. § 3-2A-01(g) which states a “medical injury” is an “injury arising or resulting from the rendering or failure to render health care.” Not every tortious injury inflicted on a patient by a healthcare provider is medical malpractice. The distinction between ordinary negligence and malpractice hinges on whether the mistake involves a matter of medical science or act requiring special skills not possessed by laypersons. So if the negligence or lack thereof can be assessed on the basis of common everyday experience of the jury, it is not a medical malpractice case. What constitutes a “medical injury” in Maryland has been the subject a few Maryland appellate cases. 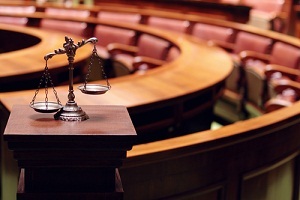 It is clear that intentional torts like assault and battery are not subject to Health Claims. So if a doctor intentionally hits a child while removing stitches, that claim will not be subject to health claims. But we are are talking about classic assault and battery. You can’t just call it assault and battery if is is actually a medical injury. A new study on emergency room malpractice was released today that looks at why ER doctors are so frequently sued in misdiagnosis claims. 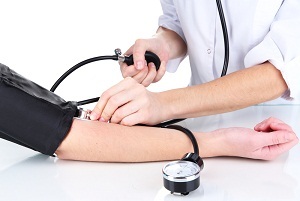 The study was conducted by The Doctors Company, which is a big insured of doctors, hospitals and physician groups. It is easy to roll your eyes because you know these folks come with an agenda. And of course their conclusions are euphemistic distortions or maybe downright fictions, but I take most of the data at face value, because I can’t see the point of cooking the relative malpractice incidence rates. The Maryland Court of Special Appeals recently handed down its opinion in Rosebrock v. Eastern Shore Emergency Physicians. The opinion makes defense attorney’s jobs a little easier when it comes to admitting testimony in medical malpractice cases, of what the doctor usually does when the doctor has no recollection of the care provided to the patient. This post addresses this case and whether this ruling is significant to Maryland medical malpractice law. I’ll also talk a little about an off the beaten path issue related to agency and personal representation. This is a medical malpractice case where a nurse’s aide slipped and fell, while on duty, at Ruxton Nursing Home located in Denton, Maryland. After the fall, she complained of hip, knee, and back pain. EMTs arrived and immobilized the woman, then place her on a backboard. She went to the emergency room at Shore System’s Memorial Hospital in Easton, Maryland. The ER doctor orders an x-ray of the patients’ knees and hips, but there is no record of her examining the patient’s back; even though she complained about her back to the triage nurse. The x-rays come back negative, prompting the doctor to discharge the patient with minor knee and hip contusions. Later on, the patient is still experiencing significant pain, resulting in another doctor ordering an MRI. The MRI showed a degenerative disk in the patient’s back, which is later revealed to be a burst/fractured vertebrae. Obviously, this is a bit more serious than a minor contusion, and the patient has to get spinal fusion surgery. Unfortunately, the surgery results in an infection, causing the patient to suffer a brain injury and enter a vegetative state. Nearly a quarter of a million Americans undergo total hip replacement surgery. All of them do so reluctantly. This invasive orthopedic surgery is a major operation. Everyone agrees that there are unavoidable risks involved in the procedure. These risks include a foot drop (also called peroneal nerve palsy or drop foot), sciatic nerve injuries, and, many believe, RSD even when the surgery is performed properly. There is no doubt that the fact that it is a known complication of hip replacement surgery does not make for an easy malpractice case no matter how egregious the facts are. I’m telling you that the surgeon could do the operation with a machete while wearing a Groucho Marx mask and any Maryland insurance company would still mount a defense. But that does not answer the question posed which is whether it can be medical malpractice when a patient has a foot drop after a total hip replacement. 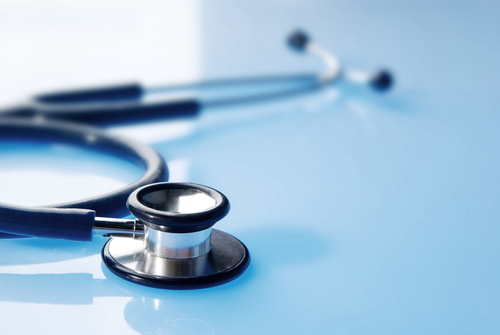 Bringing a medical malpractice case in Maryland is not something that most lawyers are competent to do. Maryland law makes you jump through a lot of administrative hoops when filing malpractice cases. 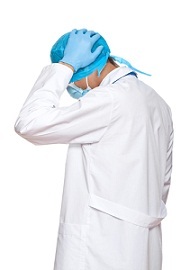 Experienced malpractice lawyers have screwed up the procedural requirements for bringing a claim. Maryland law and its courts are more than willing to hold a victim’s feet to the fire on technical details that really would not be of consequence if the system was truly interested in allowing victims access to justice. Osteomyelitis is a serious bone infection characterized by inflammation of the bone/bone marrow that can prove fatal if not properly treated. Usually, when it is not properly treated, it is because a doctor has misdiagnosed the condition. This happens far more often than it should. Osteomyelitis is caused by bacterial or fungal infections. If caught early, the condition is treatable with antibiotics and, in some cases, surgery. However, if left untreated due to misdiagnosis, the infection can spread to other parts of the body. If bone death occurs, amputation may be the only option to prevent the spread of infection. We are focusing our attention on humans, obviously. But osteomyelitis is not limited to humans. Elephants in particular are particularly prone to this condition, which is often misdiagnosed and leads to their death. If you have a potential osteomyelitis medical malpractice claim in Maryland, call us at 800-553-8082 or visit our website for a free online consultation. 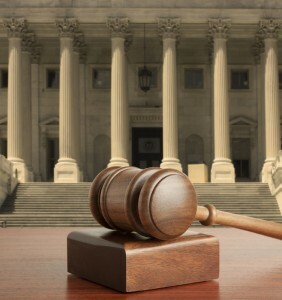 A U.S. federal court judge made a ruling on some motions that are of interest to Maryland medical malpractice attorneys. They deal with a motion for summary judgment and, a pet interest of mine, holding defendants feet to the fire when they give garbage answers to requests for admission. This is a birth injury claim against Defendants Calvert Memorial Hospital of Calvert County, that hospital’s emergency room and emergency room doctor, and the United States. The government is a defendant for care given at Andrews Air Force Base. Plaintiff got prenatal care on Andrews Air Force Base. A month before delivering, the mom-to-be presented with high blood pressure and had laboratory studies with elevated proteins, symptoms that indicate some risk of preeclampsia. Three weeks later, the woman gives birth to her daughter at Calvert Memorial Hospital.